The Expositor's Bible is one of the most-recognized standards of expository commentaries. It was written by twenty-nine eminent scholars of the day who were also full-time preachers. These writers also represent every important branch of Protestantism. The Expositor's Bible may thus be regarded as an inter-denominational exposition. 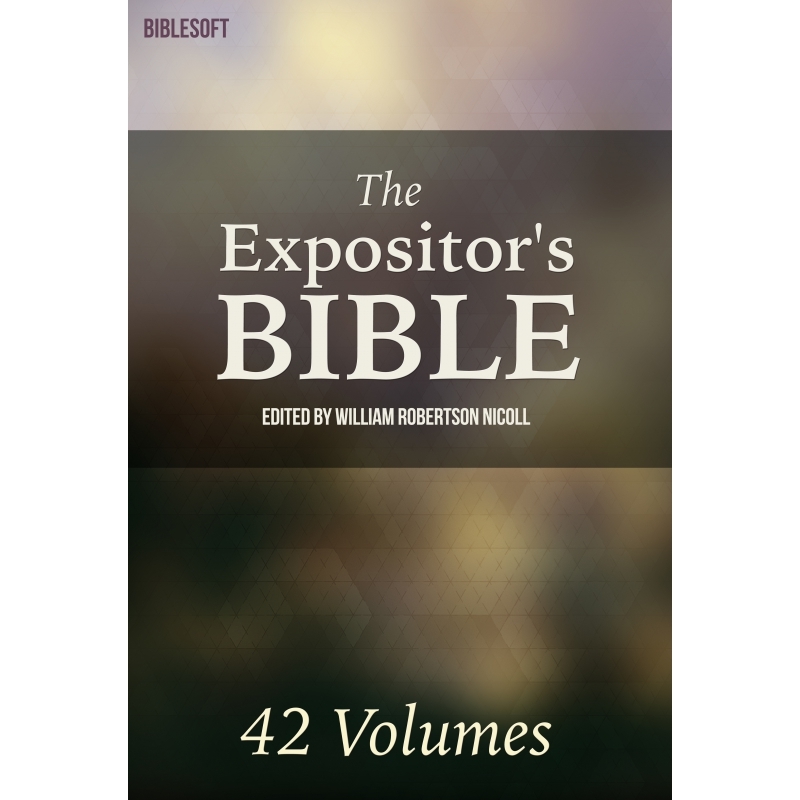 The Expositor's Bible is one of the most-recognized standards of expository commentaries. It was written by twenty-nine eminent scholars of the day who were also full-time preachers. These writers also represent every important branch of Protestantism. The Expositor's Bible represents a significant milestone in the the development of commentaries that explore a range of inter-denominational Protestant exposition. The Expositor's Bible is superior in its capability as both a commentary and an expositional aid for building better sermons and lessons. Minor details, technical questions, critical issues, are discussed in detail but do not distract from the overall narrative and critical points made about the passage and its context. This set contains a who's who of the most notable Bible scholars, teachers and commentators at the opening of the twentieth century. Included are: W. F. Adeney, W. G. Blaikie, G. A. Chadwick, Samuel Cox, Marcus Dods, G. G. Findlay, S. H. Kellogg, A. Plummer, Alexander McLaren, W. Milligan and R. A. Watson. If you can locate the six-volume edition of the Expositor's Bible, buy it immediately! It takes up less space than the original fifty-volume set, and not everything in the original set is worth owning. Samuel H. Kellogg on Leviticus is a classic; so is Alexander Maclaren on the Psalms and on Colossians. While the content of The Expositor's Bible is available online, it is not the carefully formatted and exhaustively tagged product from Biblesoft. Your collection includes tens of thousands of tagged Scripture references and our exclusive topical tagging which provides instant links to all the rest of your library's critical content on any passage or topic. Don't wait to save a bundle on the 42-volume Expositor's Bible for PC Study Bible.